Thanks for using our platform! We commit to make our work as much as possible participative and to welcome all constructive suggestions and critiques. Would you like to fill our survey to help us improve our work? Blockadia: Keep Fossil Fuels in the Ground! 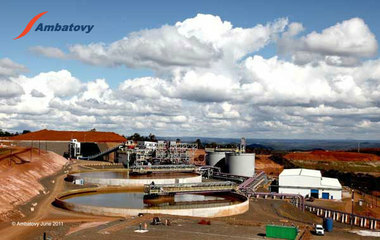 Ambatovy is a large-tonnage, long-life nickel and cobalt mining enterprise located in Madagascar. Ambatovy is the largest-ever foreign investment in the country and one of the biggest in sub-Saharan Africa and the Indian Ocean region. It will soon rank among the largest lateritic nickel mining entities in the world. 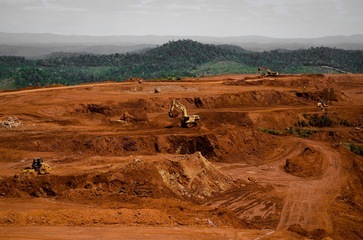 Actually, the Canadian company Sherritt International incorporated, currently in a joint venture with Sumitomo, a Japanese company, Kores, a South Korean company, and SNC Lavalin, also Canadian, signed an agreement for cobalt and nickel extraction in Ambatovy with the Malagasy government in 2006. The building of the mine and smelter infrastructure was completed in 2011. 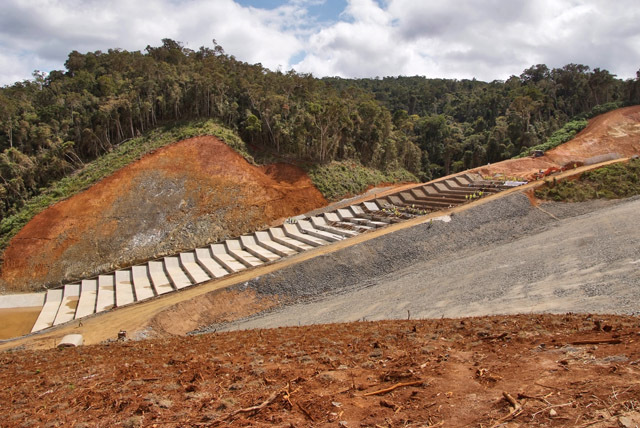 This included open-pit mine sites and a mill in Ambatovy near Moramanga, a hydro-metallurgical smelter in Tanandava about 10 kms from Toamasina, and a 220 km pipeline that will move the milled ore mixed with water (a slurry) to the smelter. The processing will use sulphur products - some of which are toxic. The concentrated cobalt, nickel and ammonium sulphate will then be shipped to Asian markets from the harbour. 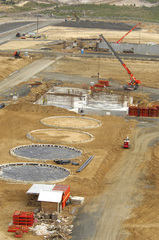 The toxic tailings from the process will be stored in perpetuity near the process plant. The project benefits have been well promoted in the media. However, the negative consequences of the construction phase of the project to the health and lives of the affected people nearby reached public attention when a serious accident occured between February and March 2012 and four people lost their lives. Project Details Ambatovy will produce 60,000 tonnes of refined nickel, 5,600 tonnes of refined cobalt, and 210,000 tonnes of ammonium sulphate fertilizer annually for at least 29 years. This probably should place nickel among Madagascars most important exports. Campaign in social medias (Blogging, Website, interviews) are led by TANY, FMMT, MiningWatch Canada and some Malagasy activits. FMMT (Fikambananny Mpamboly sy Mpiompy Tantely), a local association of peasants and beekeepers, wich gathers around 1400 families, claims that the AMBATOVY PROJECT is an ecological disaster. In august 2008, FMMT sent a letter of complain to SHERRIT Toronto in Canada, but they have been received by SHERRIT AMBATOVY only in october 2010. TANY, a Malagasy civil society organisation, located in Europe, defending the Malagasy lands and the peasants rights, regularly sent letters of complaints to the Government of Madagascar and to SHERRIT AMBATOVY. Other Many workers are from the Capital Antananarivo, causing frustrations among Tamatave populations. The project benefits have been well promoted in the media. However, the negative consequences of the construction phase of the project to the health and lives of the affected people nearby only reached public attention when there was a serious accident. 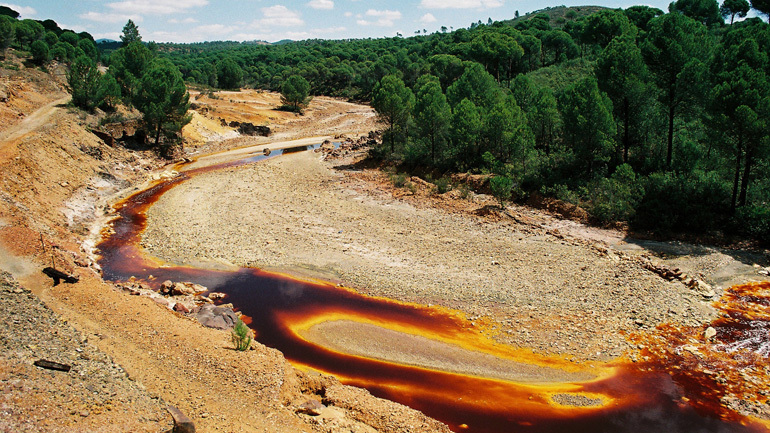 At least four sulphur dioxide leaks during start-up testing at the plant site between the 26th of February 2012 and 13th of March led to the deaths of 2 adults and 2 babies and the illness of about 50 people. The company headquarters stated on the 8th of March 2012 that the leaks were normal and that the 800 inhabitants living near the plant should be relocated. The Council of Ministers stated that the company was far from doing what they had promised about the victims care and that the water of Ranomainty river was at risk of pollution. An inter-ministerial team made a visit in Tanandava to verify that all the conditions had been met before the government issues the approval for production to begin. In august 2012, the Malagasy authorities have been saying that they will only deliver the operating permit after they receive the conclusions of research from an international consulting firm about the mines effects on the population and their environment, and that a budget should be drawn up to deal with the eventual negative consequences of the mining operation. (3)the entire environmental impact study must be made available to the general public. Why? Explain briefly. According to Sherrit Company, Ambatovy adheres to stringent environmental standards including the Equator Principles, the World Bank Groups IFC Performance Standards and the principles of the Business and Biodiversity Offsets Program (BBOP). But according to MiningWatch Canada and the civil society organisation TANY, there is a huge problem of environmental injustice, even if Ambatovy has done an Environmental and Social Impact Assessment (ESIA), and works in close collaboration with the Malagasy regulator, the National Environment Office (ONE). The rights and needs of malagasy peasants and people affected by the construction phase - in regard to impacts on land, water, fish and forests were not respected ; the costs for compensation as result of removals, damage, and accidents were not paid; and the promises made to local communities when they were relocated are not fully honoured. Civil society groups, especially TANY, are demanding that the government of Madagascar force the project to deliver on its promises of environmental safeguards and social responsibility by revising Malagsy mining and investment laws and regulations. An annual property tax equivalent to 1% of the rental value of the buildings. There is a five year exemption for the Project.